Katie Collett’s day begins at 2:15 a.m., when she wakes up to get ready for work. She heads to the WAVY-TV studio to prepare for the 4:30 a.m. show. At 9 a.m., she gets a short break before the morning meeting to plan the next session. Then it’s time to help prepare for the midday show and make calls for upcoming pieces, and Collett is back on air from noon–1 p.m.
Collett’s schedule might seem chaotic to some, but she’s more than happy to rise early every day. By anchoring in the morning, Collett can come home in the afternoon to spend time with her family, have dinner with them and put her son to bed. Of course, making her way up the ranks to her current position was no simple feat. When Collett decided to pursue broadcast journalism as a student at Edinboro University in Pennsylvania, a professor advised the young journalism student to have a backup plan. She chose to ignore his advice and chase her calling. “I decided this was what I was going to do—no backup plan,” Collett says. In Johnstown, Collett shot and edited her own footage and wrote her own scripts. Her hard work earned her a promotion to a weekend anchor position. In 2007, Collett was hired by WAVY as a weekend reporter. She was promoted several times until she finally earned her position as a morning anchor. As she worked to get her start in the industry, Collett had to fight to remain true to herself in a business that, at times, tried to mold her into something different. Now as a morning anchor of the No. 1 newscast in Coastal Virginia, Collett is proof that unreservedly being yourself is always on trend. This remained true when Collett was diagnosed with multiple sclerosis (MS) five years ago. 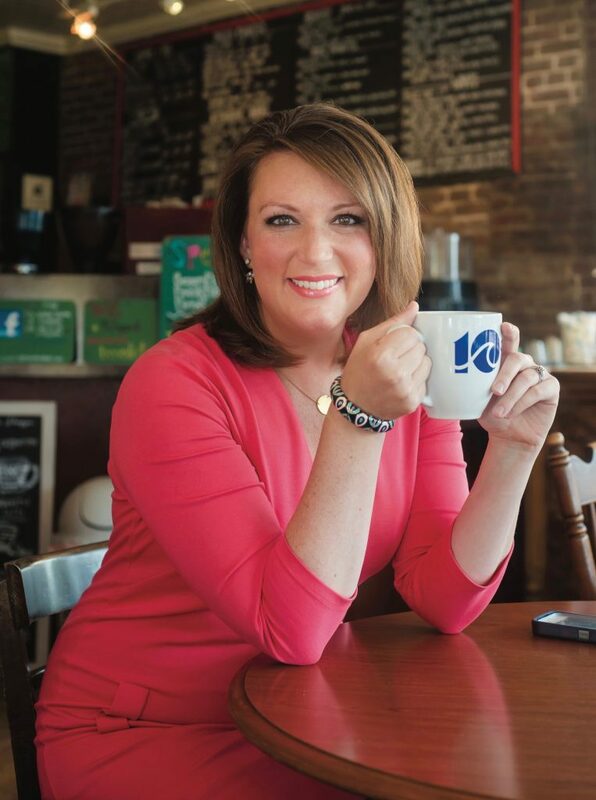 Since sharing the news with her co-workers and viewers at WAVY-TV, Collett has used her platform to raise awareness for MS and give others with the disease a voice. Collett applauds her company for supporting her from the beginning and allowing her to shed light on the incurable disease. Viewers who meet Collett in passing might be surprised that her on-air personality is a true reflection of who she really is. “There’s a stigma that women in media are stuck up and arrogant, and I’m glad to be able to blow that stereotype out of the water,” Collett says.